Finally after all these years! 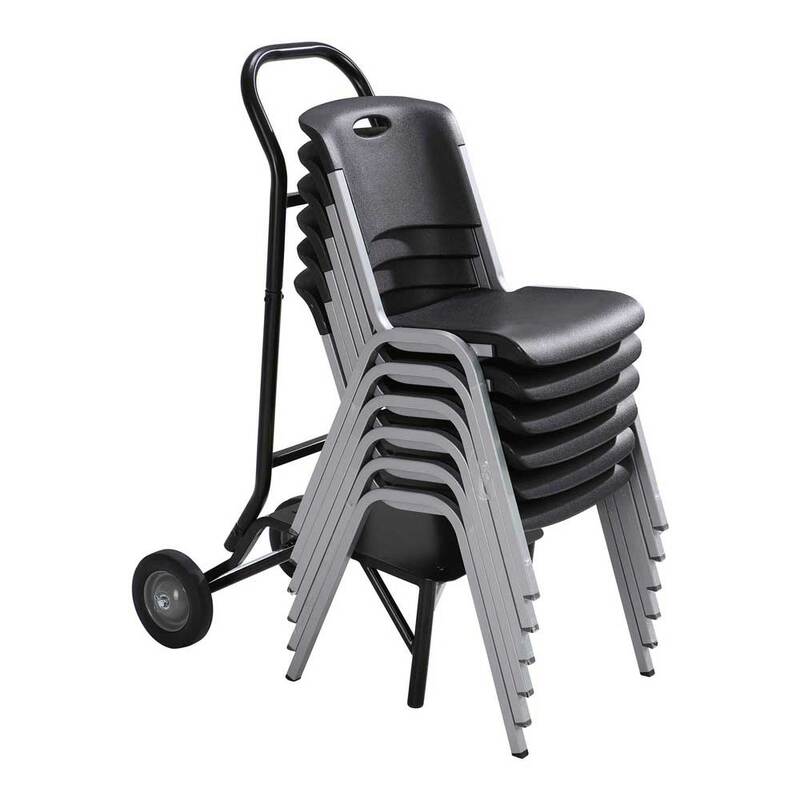 Lifetime has released the new 80527 stacking chair cart that holds up to 10 Lifetime stacking chairs. 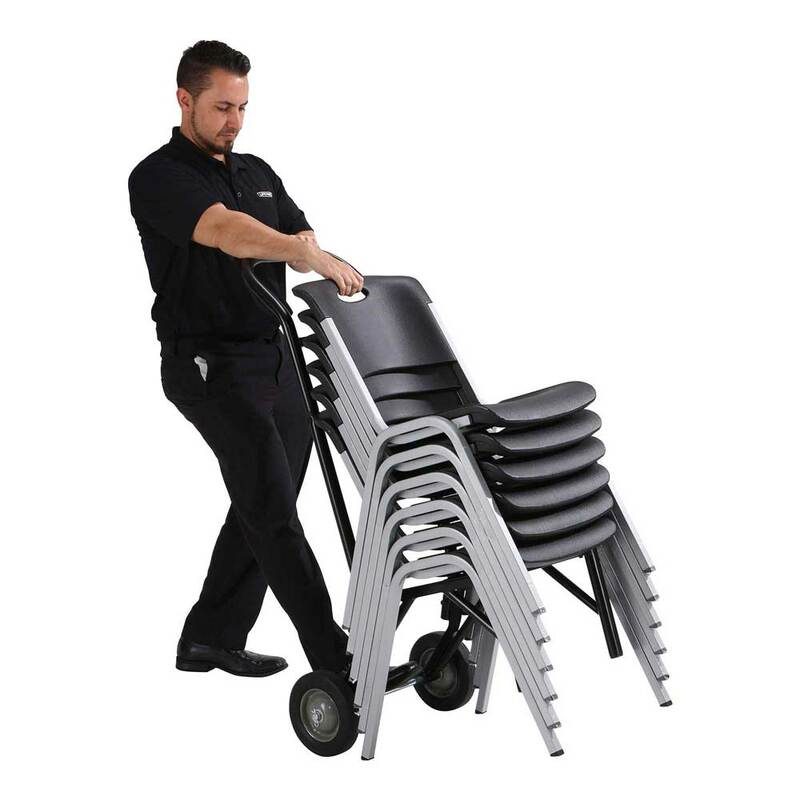 Order your brand new Lifetime Stacking Chair Cart Today!This chair cart works with any lifetime chair as long as the lifetime chair isstackingand not folding.Lifetime Stacking Chair Cart Storage Trucks are great for transporting around the home or office or maximizing space. This Rolling Storage Cart provides the perfect place for Lifetime stacking chairs. 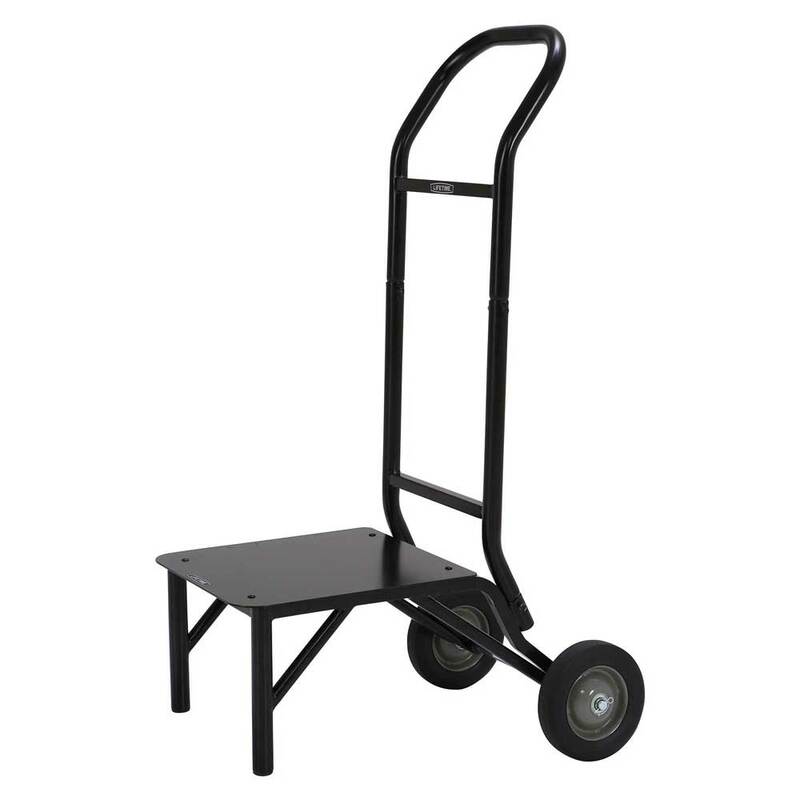 this Chair storage cart is perfect for indoor or outdoor use and rolls smoothly and easily on caster wheels. Lifetime chair carts will fit the following indoor/outdoor furniture model numbers: 42830, 2830, 480310, 80265, 80310, 480310, 80510, 80540, 80569, 80573, 80570, 80574, 80589, 80641, 80645, 82830. 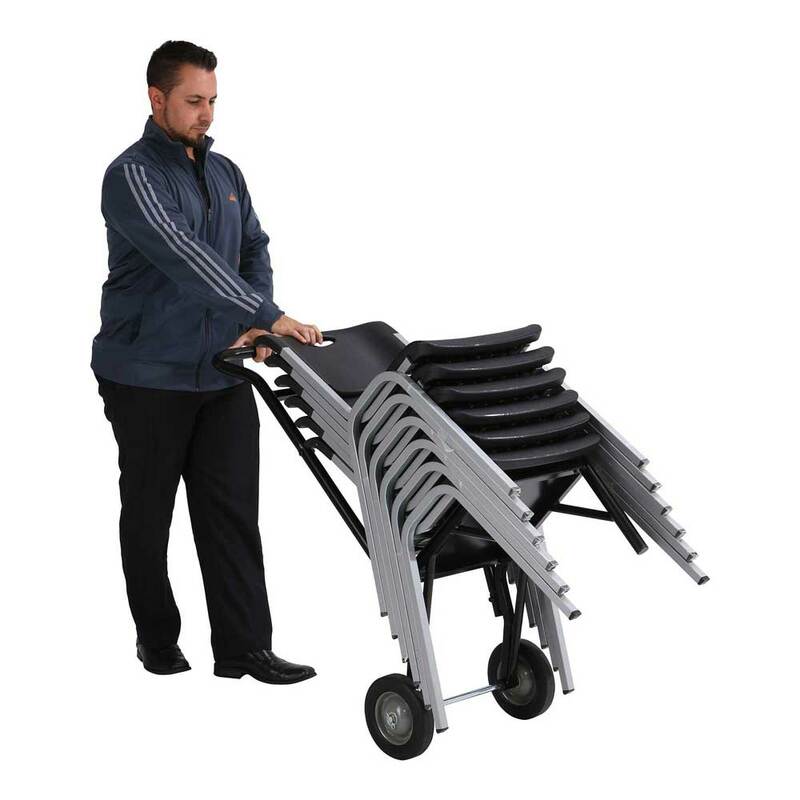 This Stacking Chair Cart holds up to 10 Lifetime Stacking chairs, though some may recommend less. 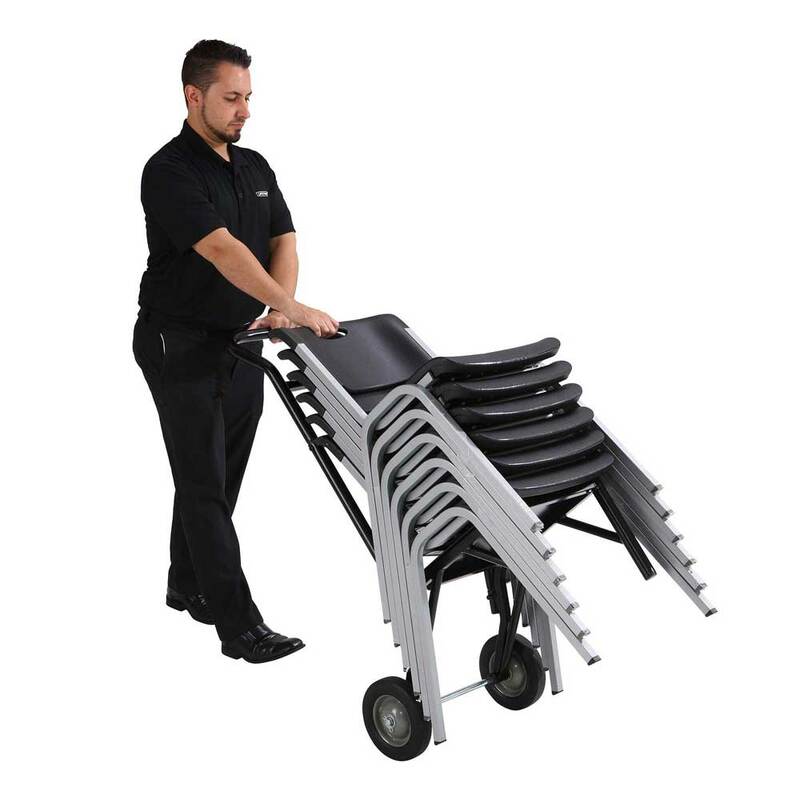 The Lifetime Chair Cart is the perfect addition to your business, convention center, or church. It holds up to the recommended number of Lifetime Stacking Chairs per model. 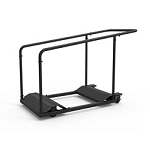 It is constructed of durable, weather-resistant powder-coated steel and smooth caster wheels. 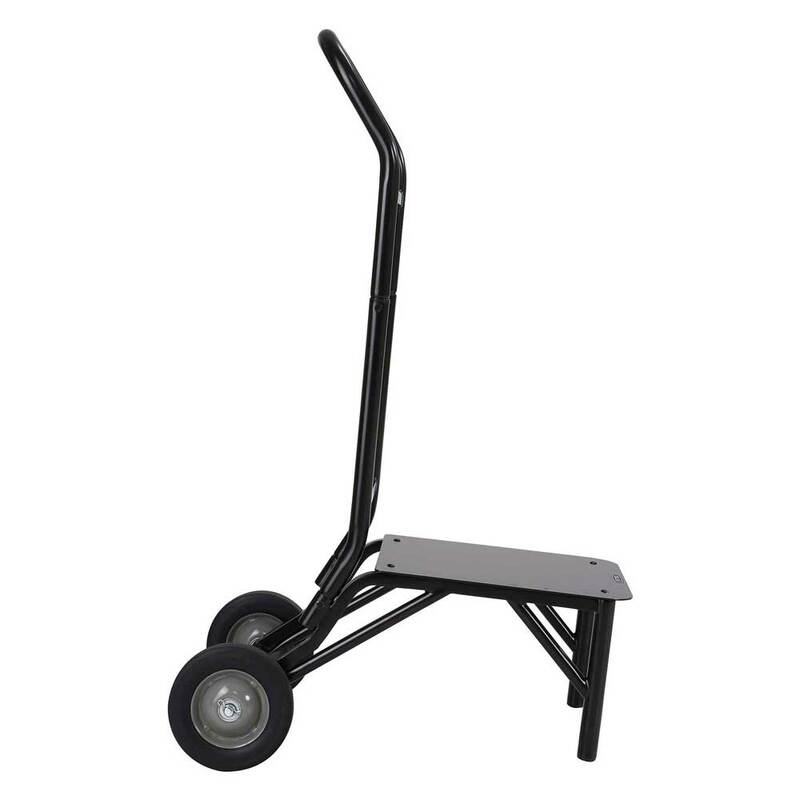 The Cart is constructed of heavy-duty powder-coated steel (black) with caster wheels. 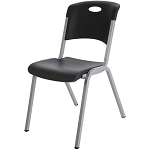 The compact design holds up to the recommended number of Lifetime Stacking Chairs per model. 1-year limited warranty. This cart will hold any lifetime adult stacking(not folding) chair. *Lifetime 80527 Stacking Chair Cart does not include the Lifetime Products chairs shown in picture. 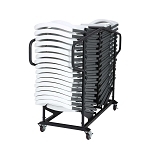 The Lifetime Chair Storage Rack generally ships FedEx Home Delivery or FedEx Ground to Businesses when shipped in low quantities. Higher quantities may ship via an LTL freight carrier such as ABF or Roadway Express. Lifetime Chair Caddies weigh about 90 lbs. Competitive Edge Products, Inc. is an authorized reseller of Lifetime Chair Racks, Lifetime tables and Lifetime Stacking Chairs Plastic Back and Seat Units manufactured by Lifetime Products inc.
Other metal chairs are typically too small to fit into this Lifetime chair cart. 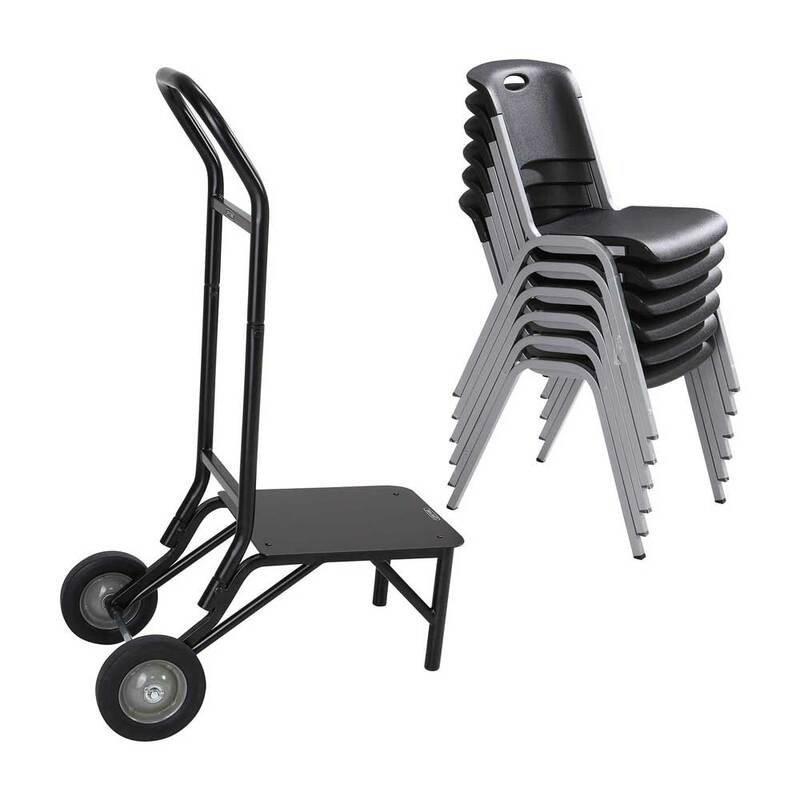 You might consider the DY81 Stacking Chair Cart which can hold 5 Lifetime Chairs; or for Folding Chair racks you could try the 6525 Chair Cart, or the84 Chair Caddy storage cart or the C84 Correll Folding Chair Cart, or the 80525 Chair Cart. Q: Can this cart hold other things than chairs? A: This card is specifically designed for chair model 2830, 480310, and 42830. Fast Shipping: Orders for the 80527 Stacking Chair Carts generally leave the warehouse the next business day, though handling times vary throughout the year. Delivery typically takes 1-5 business days, call for more exact estimates. Dimensions: 25" x 16" x 11"